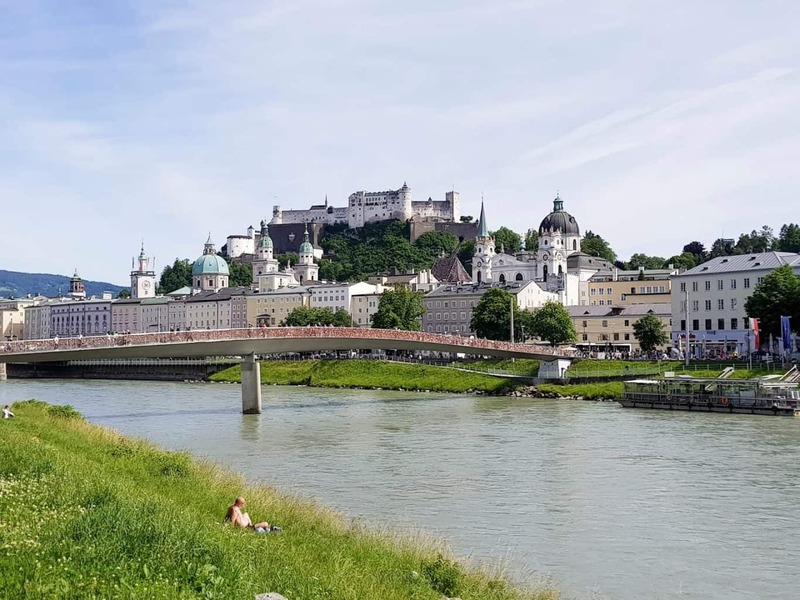 This post will cover some really worthwhile things to do in Salzburg, Innsbruck and Graz, that are a little beyond the immediately obvious. But before I share those, let me tell you how I found myself in this very beautiful land. One of my New Year’s resolutions for 2017 was to explore more of Europe. Sure, exotic long-haul destinations are fabulous, no one doubts that. But I don’t want to be that person who doesn’t make the most of having one of the most vibrant continents in the world on their doorstep. I’m already guilty for similar things as a Londoner; I’ve lived here all my life, and I’ve never been been inside the Tower of London. Outcry! 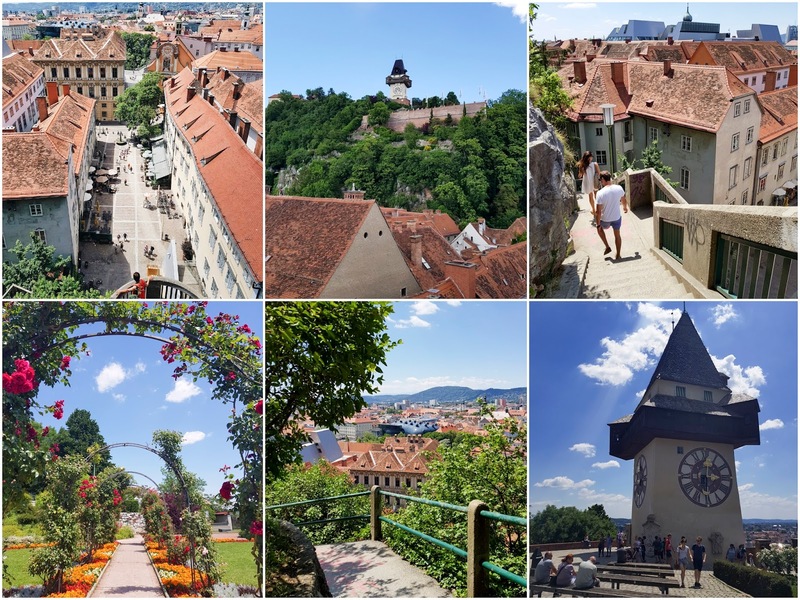 So when I received an email from the Austrian National Tourism Board (ANTO), asking if I’d like to hit up three Austrian cities over five days in the summer, I was thrilled. A new country – tick. Travelling on my own, on my own terms – tick. Mountain air and all of the konditoris – tick. On the agenda, the cities of Innsbruck, followed by Salzburg, ending up in Graz. There would be train travel thanks to the awesome OBB train company in between (the business class tickets and fully functioning wifi were gratefully received – I got so much work done!). 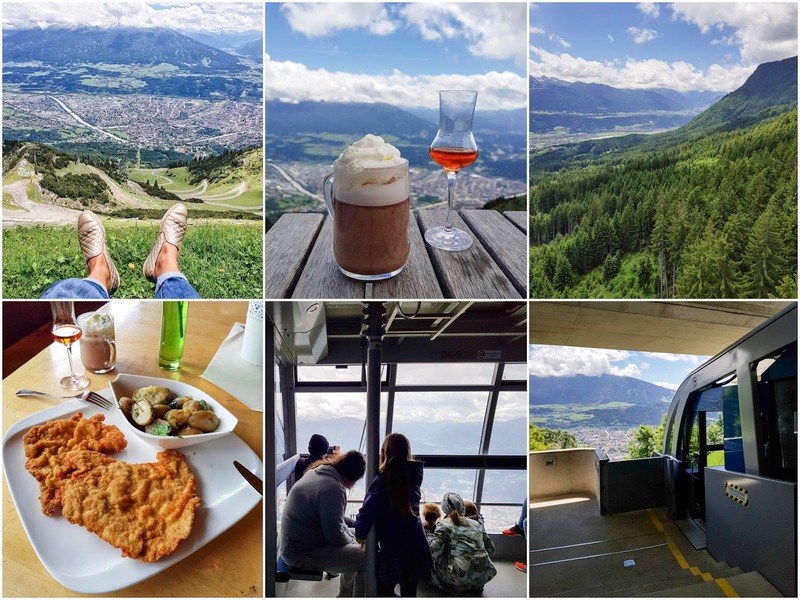 I had loose suggestions for things to do in Salzburg, Innsbruck and Graz, but it was ultimately down to me. 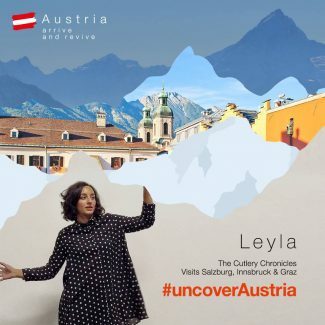 The real focus of this #UncoverAustria campaign was to showcase the country in all its summertime glory. Many people’s immediate thoughts about Austria are related to skiing or Christmas markets (both of which I hear are great), but there’s so much more than that. Innsbruck is is the capital of Austria’s Tyrol province, surrounded by the craggy peaks of the Austrian Alps. Because of this, it’s a stunner. The locals love to be outdoors, usually found skiing in the winter, or hiking and mountain biking in the summer. 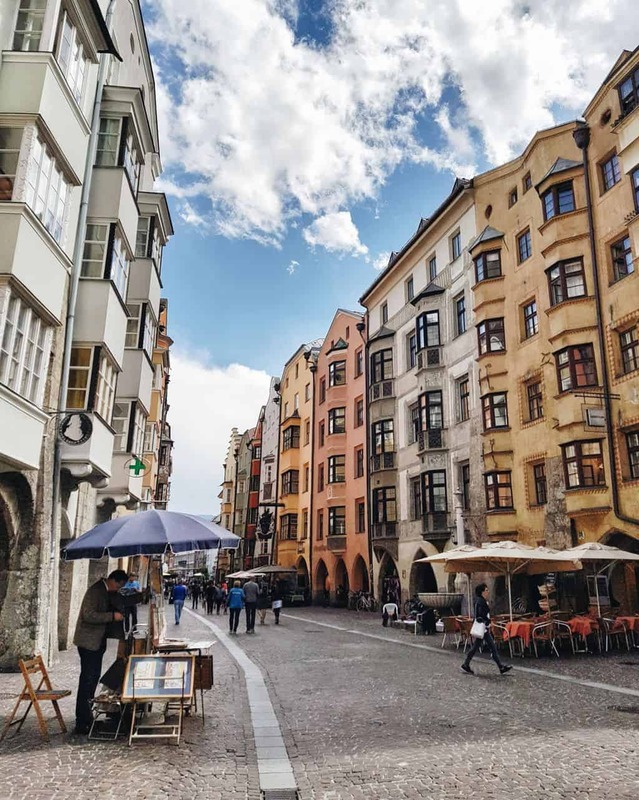 The centre is compact and walkable, it’s packed with culture and university students, and a lot of it reflects the glory days of Emperor Maximilian I, who made Innsbruck his imperial capital 500 years ago. Salzburg may well be the best known from the bunch, thanks to it being the film location for much of the The Sound of Music (can’t say that I’ve seen it – whoops). Not to mention it’s also the birthplace of Mozart, and the home of Red Bull. It’s right on the border with Germany, and the storybook Old Town burrowed below steep hills looks much as it did when Mozart lived there 250 years ago. There are truly loads of things to do Salzburg. But if I had to pick a favourite (don’t make me choose! ), Graz would probably be it. It’s the capital of the southern Austrian province of Styria, it’s the second largest city in the whole country, yet it’s also the most relaxed. 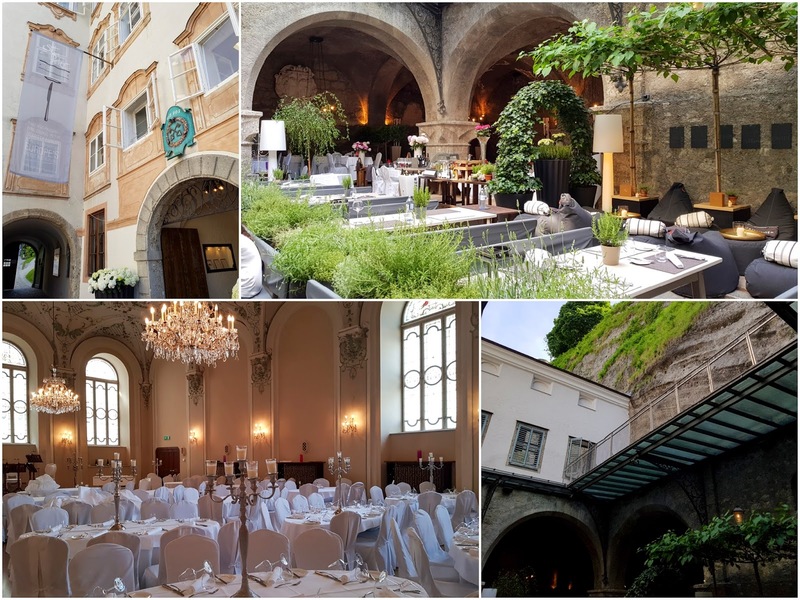 There aren’t any big hitting sights to check off, or particular claims to fame, compared to all the music(al)-related things to do in Salzburg, for example. Although, Graz is where Arnold Schwarzenegger is from, and I hear he visits every year. A relaxed agenda means your time can be spent leisurely meandering, and soaking up the atmosphere. Colourful buildings, secret passageways, idyllic Renaissance courtyards, and endless excellent al fresco places to drink and dine. The Graz locals inherit a lot of their way of life from nearby Italy; they enjoy eating, drinking and spending time with friends. But there’s also a youthful energy, with an edgy vibe thanks to a vibrant arts scene and great nightlife. Absolutely my kind of city. Looking past the money-spinners, and a lot of the more obvious stuff you’ll find in any run-of-the-mill guide, I’ve come up with a few things to do Salzburg, Innsbruck and Graz, that may not immediately come to mind. There is also a second post to this Austria trip – AUSTRIAN FOOD | 19 Delicious Things To Eat In Salzburg And Graz. Plus, a video will be coming soon! Known as the “Jewel of the Alps”, Nordkette mountain is quite frankly, breathtaking. It’s at the heart of Innsbruck, and is part of Karwendel Nature Park, Austria’s largest nature park. The supremely excellent thing about getting to the top of it, is that you can do so from the city centre in a matter of minutes. You first hop on the modern Hungerburg Funicular (designed by the late and great Iraqi-British architect Zaha Hadid), which leaves directly from Innsbruck’s old town. It stops at the Alpine Zoo (Europe’s highest altitude zoo) and then Hungerburg. It’s here you then switch to the cable car to continue you ascent up the mountain. We glided over majestic forests, the out-of-service ski lifts (it all must look quite spectacular covered in snow), and hikers following the the flat and snaking trails. 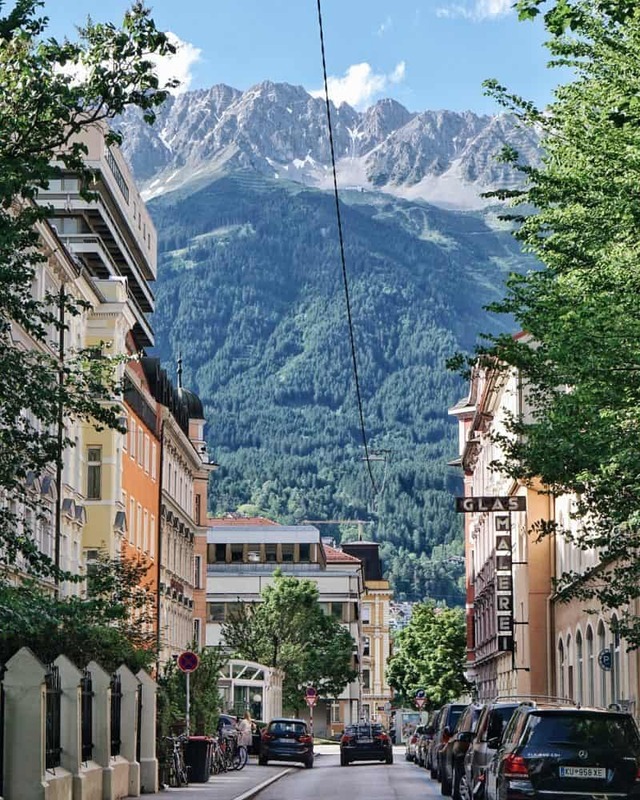 If I return to Innsbruck one day (fingers crossed), hiking these is top of my agenda. I love a good hike, and there are ones to suit all levels of abilities here. At an altitude of 6,250ft you’ll come across Seegrube Restaurant, where you should stop for a typically Tyrolean lunch (schnitzel for me). You can also treat yourself to a hot chocolate with cream and a side of brandy while you’re there. Set aside at least an hour or so for ample sensational view soaking, and all of the picture taking. It’s glorious. 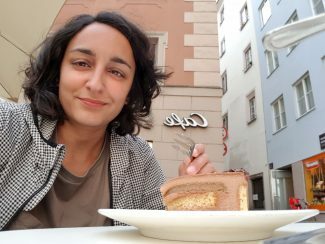 Cake and Austria go hand in hand, so it makes sense to indulge at every given opportunity. But if you’re forced to prioritise one konditorei in Innsbruck, it should be Café Munding. Once frequented by dukes, queens, and princes, Café Munding has been in the same family since 1803, making it the oldest coffee and cake spot in Tyrol. The interiors are surprisingly basic, probably to take as little attention away from the stars of the show as possible – beautiful cakes. Expect the likes of rich chocolate gateau studded with gold leaf and fresh raspberries, and individual apple streusels. Select your sin, order a coffee, and enjoy them al fresco as you watch the locals go by. Due to two aborted plane landings, eventually resulting in a diversion to Munich airport in Germany (best not to ask..), I ended up having the least amount of time here out of the three cities. Yet despite this, I found the majority of the images on my camera were from Innsbruck; it is an exceedingly photogenic part of the world. At the end of every road, there seems to be another monumental mountain. The cobbled streets of the old town are flanked by colourful buildings. And it’s hard to beat a 6,000 feet vantage point over the whole city up the Nordkette. 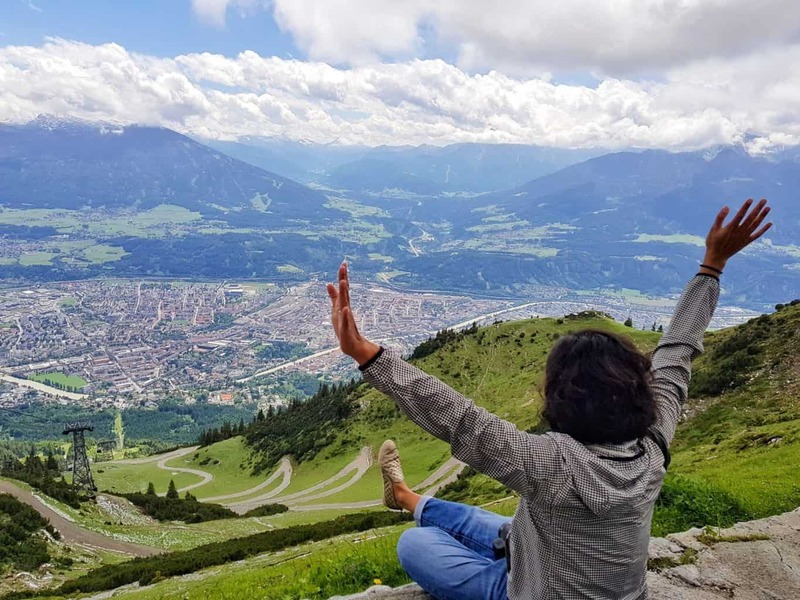 So if you are a person that enjoys taking photos, be sure to factor into your itinerary some time to get intentionally lost and capture the beauty of Innsbruck. On the note of vantage points, high on my agenda when I visit any new city is finding the best one. I love a good skyline shot, and if I can time it at golden hour, even better. 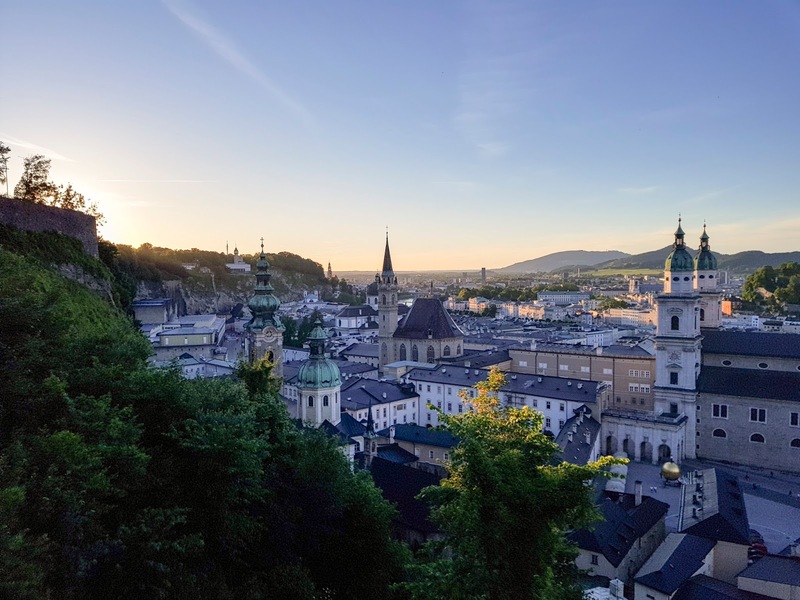 When it comes to things to do in Salzburg, the best place for these sort of views is on the ascent up to Hohensalzburg Fortress, high above the rooftops of the Baroque historical district. The fortress is absolutely worth visiting in its own right, and you can either make your way up on foot (you’ll be a little out of breath at points, but it’s very picturesque), or you can ride the fortress funicular (“Festungsbahn”) from the Festungsgasse. The fortress plays host to the famous Salzburg Fortress Concerts (attending one of these would be high up on my extended list of things to do in Salzburg), and there are plenty of museums. In addition, every Sunday at 11.45am, musicians perform in the ‘Trumpeter Tower’ and send their Baroque fanfare wafting on the breeze down to the Old City below. I hiked up just before dinner time, and arrived when the fortress was closing, so didn’t get to take a look inside. But I did get this shot of Salzburg at sundown. So, silver linings. I didn’t get to do this, and I’m gutted. The whole thing runs from about 6.30pm until quite late, and I just didn’t have the time. But if and when I return to Salzburg, this is number one on my to do list. Salzburg is where Mozart was born, and it’s a city with a deep connection to classical music and the arts. Mozarteum Salzburg University is one of the finest in the world to study music and dramatic arts, and all this love for culture is celebrated year round through concerts and festivals. So it makes complete sense (to me, at least), to combine this world class level of music and performance, with a great meal. Packaged together, you get one of the best things to do in Salzburg: the Mozart Dinner. It also happens to be in Europe’s oldest restaurant, St Peter Stiftskeller (it dates back 1200 years!). It’s a dinner concert, if you like, transporting diners back to Mozart’s time. You get an evening of entertainment by candlelight, along with a menu based on historical recipes served during concert intermissions. There are period costumes and instruments, and Mozart’s exquisite pieces are performed by the talented Amadeus Consort Salzburg, all within the setting of the restaurant’s grand baroque hall. I was told it’s loved by locals and tourists alike, and it sounds like great fun. It’s 56 Euros a head (68 Euros at Christmas), and alcohol is extra. You’re on grand communal tables as pictured below, so it’s a great chance to say hi to your neighbours if you fancy it. But do book ahead, as it’s very popular. I only realised during this trip that Red Bull is Austrian, and the founder Dietrich Mateschitz is from Salzburg. Which explains the slick Hangar-7 at Salzburg airport. It’s a unique and impressive building housing a collection of 25 historical aeroplanes, helicopters, and Formula One racing cars, and is also home to Austrian aviation team, The Flying Bulls. It even has the pod that Salzburg-born Felix Baumgartner jumped to Earth from, and the space suit he was wearing, when he skydived from a helium balloon all the way up in the Earth’s stratosphere, back in October 2012. I remember watching that live on TV. Equal parts incredible and crazy. All that cool stuff aside, another reason why visiting Hangar-7 is one of the best things to do in Salzburg, is because of the food. Carpé Diem cafe does a mean breakfast spread, showcasing an array of local Austrian specialities, beautifully presented on a three tiered stand. I duly removed them all and placed on the table for flatlay purposes – my apologies to the staff! Expect the likes of local ham and cheeses; ‘Eggs Benedict’ with potato foam and crispy bacon; and tomato and mozzarella toast. There was Bavarian veal sausage with sweet-potato mustard, and smoked salmon with cucumber yoghurt on crisp bread. Beef tartare came with some crunchy potato. Then there were waffles, bircher muesli, Danish pastries, kombucha and some other tasty bits. The restaurant Ikarus, should also be on your radar. 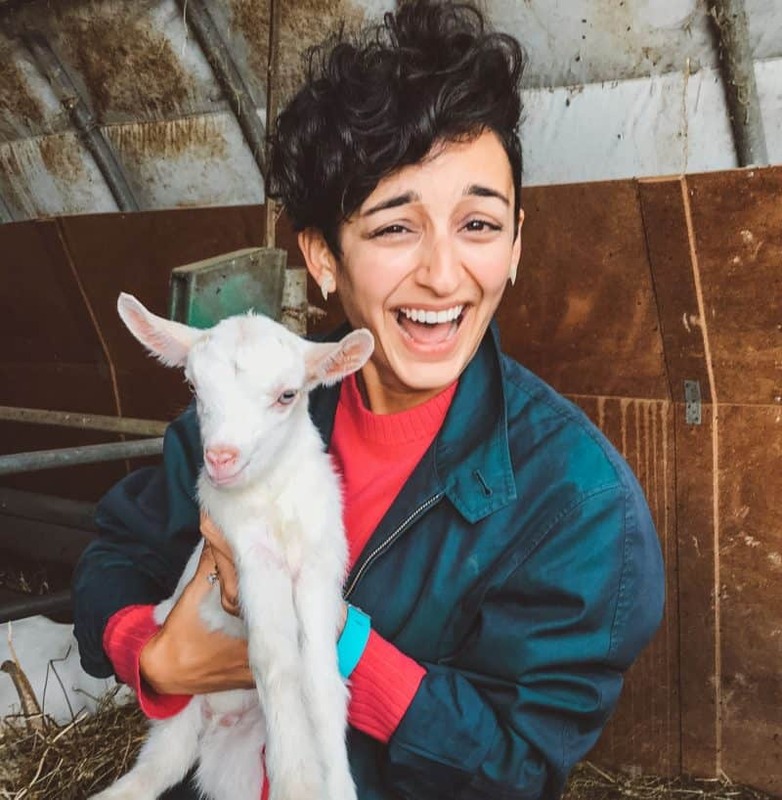 Here, you’ll find a different top chef from around the world taking the reigns in the kitchen each month. A great concept. 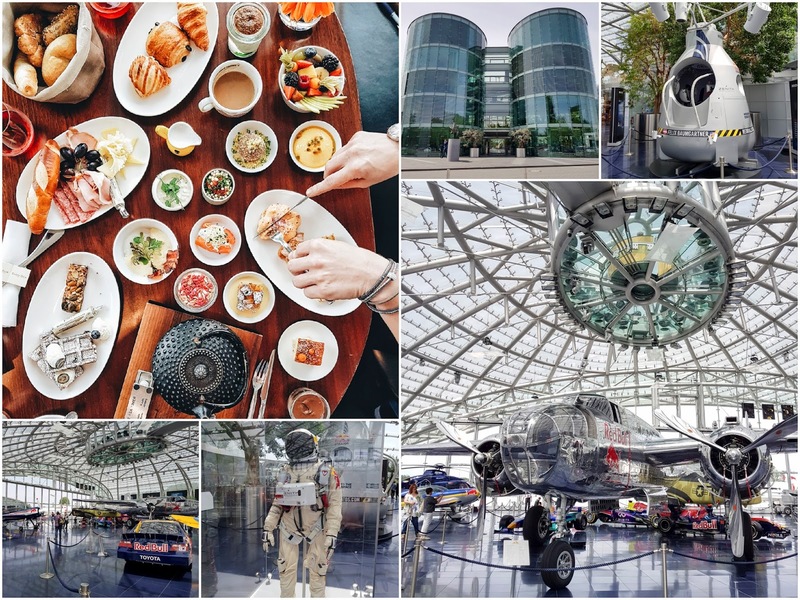 It’s completely worth heading a little way out of the city (it’s not far) for Hangar-7. You can appreciate a more contemporary offering when it comes to things to do in Salzburg, and eat well too. When in any city, make like the locals. 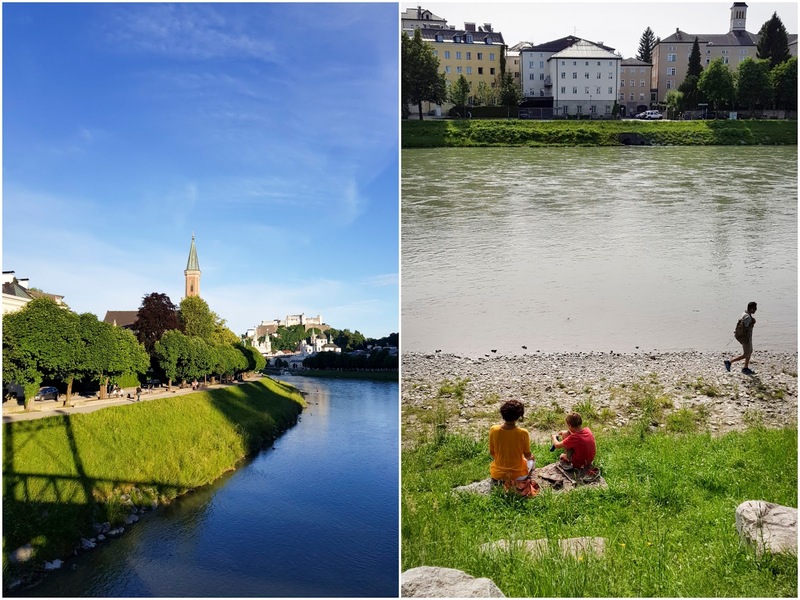 When it comes to things to do in Salzburg in the summertime, relaxing on the grassy banks of the river Salzach is high on everyone’s list. On a sunny day, you’ll find families, couples, groups of friends, and solo sunbathers taking time out on the city’s answer to a beach. You can either loll about on the sloping banks themselves right by the water’s edge, or find a sun-drenched bench on the walkway above. Either way, pack a picnic, get hold of some ice cream, enjoy the views, and embrace the downtime. Well of course, you can shop if you like. But my main reason for telling you to visit the top floor of Kastner & Öhler, is because of the views. I’m all for great views, as you might have gathered. Walk through to the al fesco area of Freiblick Bar, and you’ll find a little viewing platform jutting out over the road. 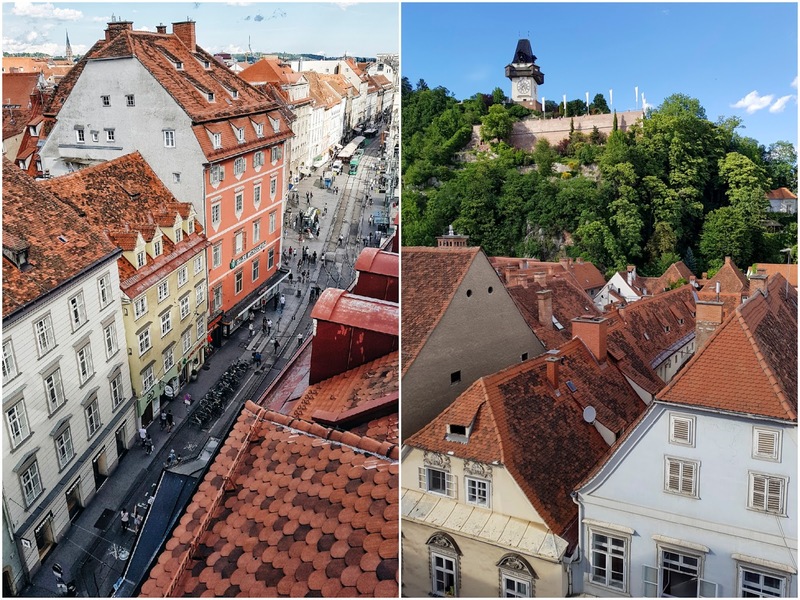 It’s a great spot from which to appreciate Graz’s stunning architecture and red rooftops. You also get a terrific view of the clock tower on top of Schlossberg hill just ahead (more on that below). No need to purchase anything in the bar if you don’t want to, just head straight on through, and be sure to have your camera with you. I was on the Taste of Graz Walking Tour, which ended up lasting much longer than it should have, because my lovely guide learnt of my love for beautiful architecture. 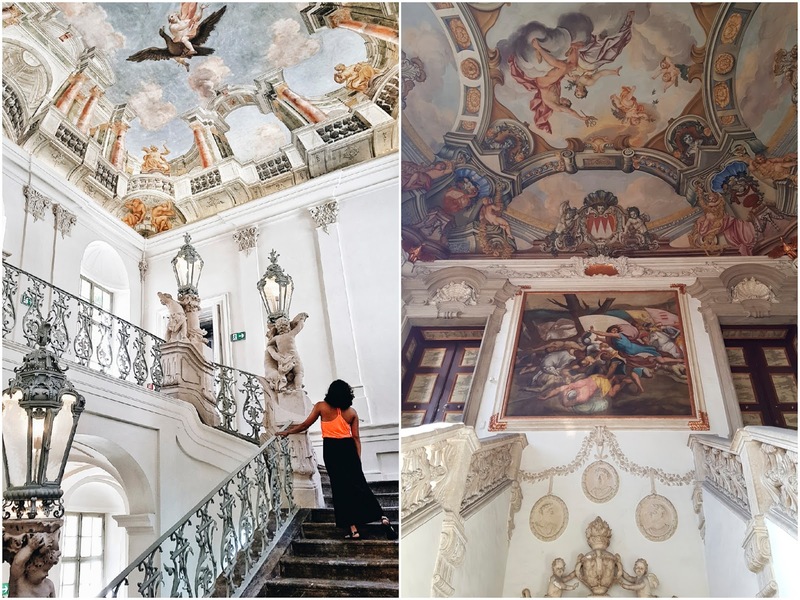 He mentioned he also does a walking tour that specifically visits the spectacular staircases found in some of the old royal palaces dotted around the city, and he showed me a couple. We would walk along a main road, come across an absolutely huge and imposing door, right there on the street next to any other normal shop, Gunther would lean into it to shove it open, and behind these doors were the sorts of sights below. No one was guarding them, and they were completely free and available for anyone to just pop in and check out. Yet it felt to me that no one new these jewels were right there, hiding in plain sight. I don’t have the addresses or locations for these, and I can’t find any mention of the staircase tour online, so I’d suggest getting in touch with Graz Tourism if you’re keen on learning more about where to find them. OK I’ll admit, my initial thoughts when reading ‘clock tower fortress’ weren’t dominated by excitement. But actually, it’s positively bucolic up there. The Schloßberg is a tree-clad hill right in the centre of Graz, surrounded by the ochre red rooftops I mentioned above. The hill is a public park, and the ascent by foot is a short slog up some stairs, but great for stopping every so often to take in the views. The bell tower itself, an icon of the city and part of an old fortress dating back to the 16th century, is impressive in its own right. The park has many levels of space to lounge about and watch the clouds drift by. It’s also only really from up here that you can fully appreciate the alien design of the Kunsthaus, the city’s contemporary art museum. Plus, when you descend, you can do so via an alternative route, through the Herberstein Garden, known as the ‘Hanging Gardens of Graz’. It’s a series of terraces with small vineyards and Mediterranean plants, making the most of the south facing aspect. My favourite bit about this spot are the views and photo opportunities – quelle surprise! Note: This is a sponsored post in partnership with the Austrian National Tourism Board. I’m thrilled they invited me along to experience some of this wonderful country. And I truly revelled in the solo travel aspect. It’s been great fun and a pleasure to collaborate on. All views remain my own, as always. Hi! I live in Graz, but I’ve never seen this staircase! do you remember in which castle or palace it has been? Because probably not Eggenberg as I’ve been there so many times and didn’t see it!